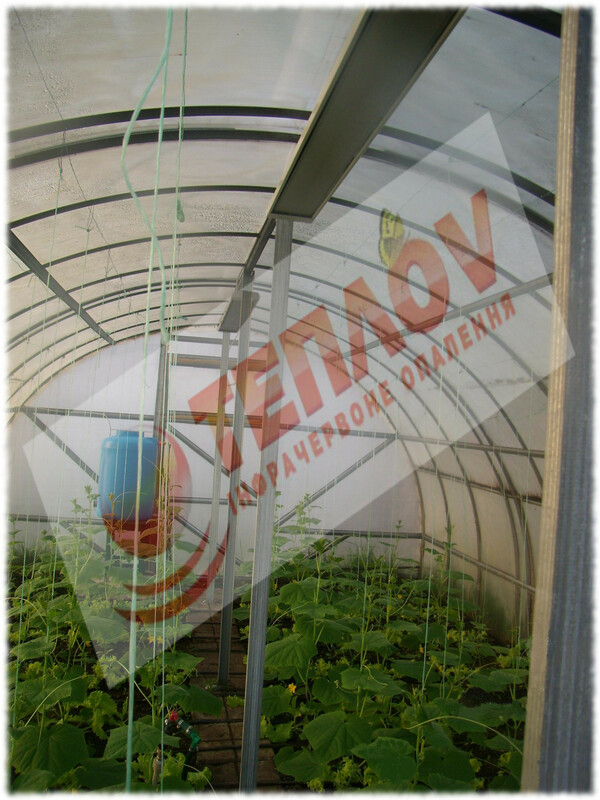 Heating of a greenhouse, Zaporozhye. There is nothing better in winter time, than fresh greenery, vegetables or even fruits on the table. Indeed then behind a window everything is covered by snow, and in shops bringing tomatoes and cucumbers more often “plastic” and not tasty. And how even in the coldest time of the year it’s possible to provide himself and their family by vitamins, which lack? The answer is very simple – to build their own hothouse, which will for you the oasis of richness among the snowdrifts. 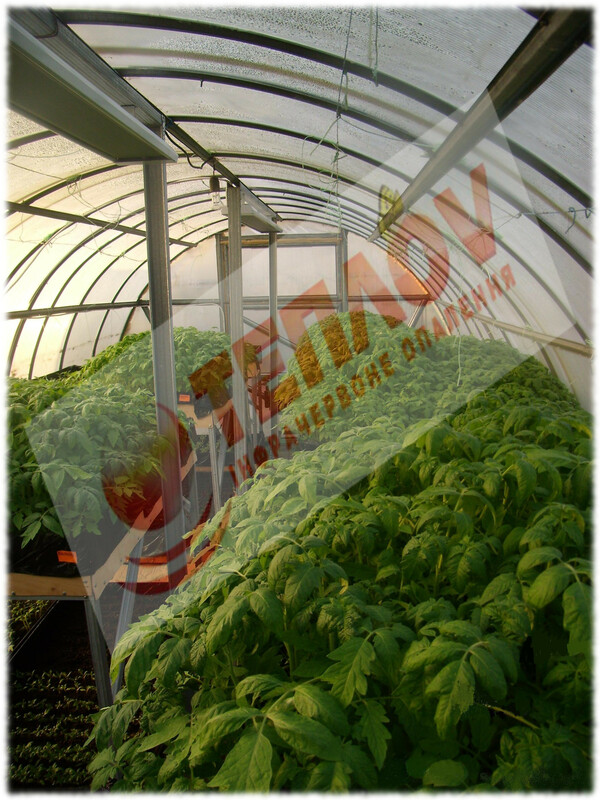 For heating of such greenhouse to us address inhabitants of Zaporozhya, which decided, that infrared heating will become for them most profitable variant of heating such space. 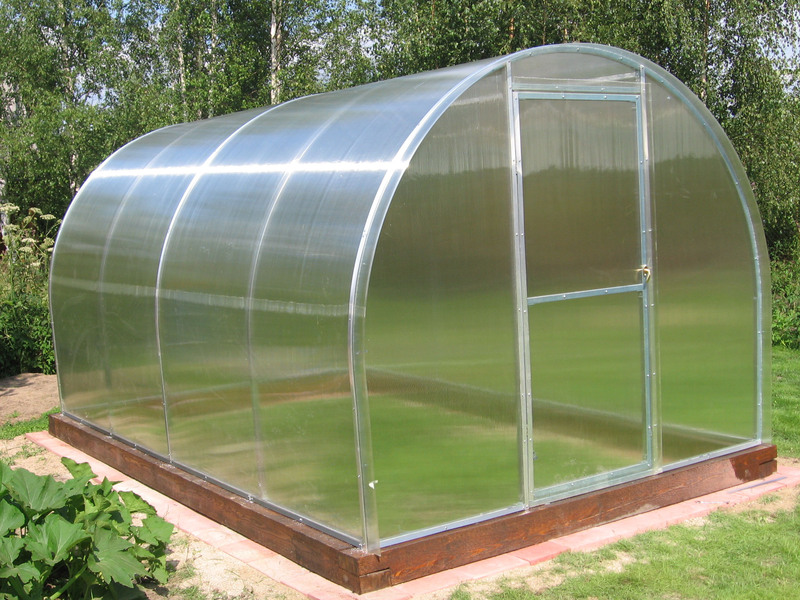 Their greenhouse was covered by 4 millimeter thick layer of polycarbonate, which now is admit the better material for creation of similar buildings. 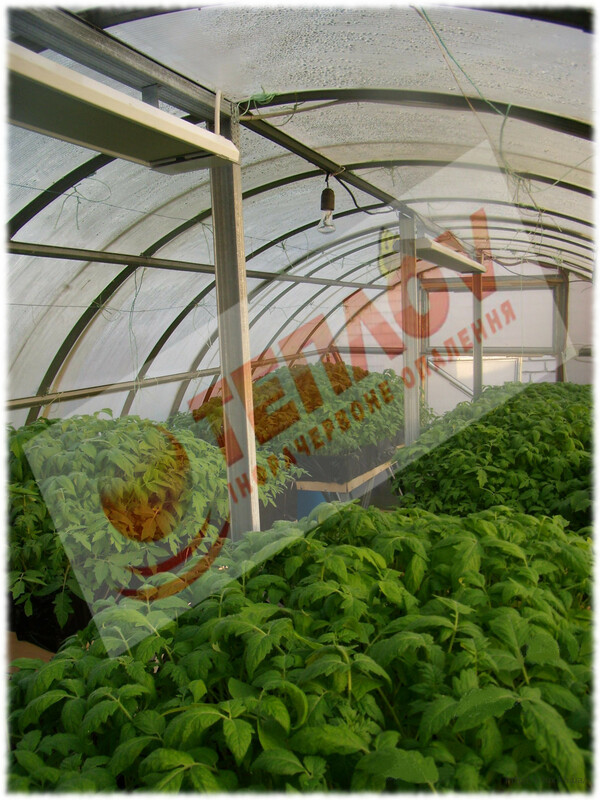 The area of greenhouse composed 24 m2, that means before us was the task to situate infrared heaters maximum effective and profitable for owners, but at this to provide the heating at all perimeter. 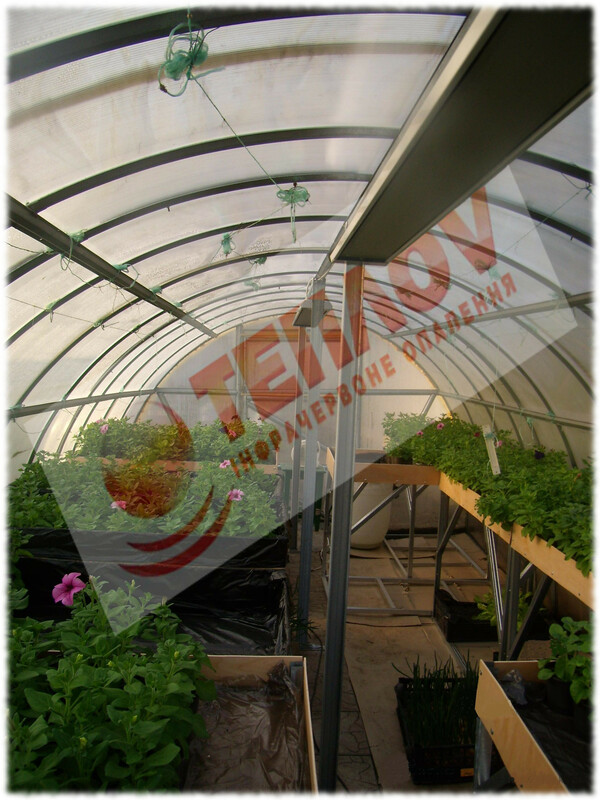 The clients shared with us the main cause, why they chose IR heating – it’s direct heating of the ground, racks and the plants itself, which can provide only technology of infrared heating. IR rays act by means of heating of all surfaces, which only transfer the warmth in air. In a such case, it’s possible avoid of large quantity of heat losses and increase the efficiency to 98%. What does it give you? Considerable economy of recourses and money, which you could overpay at the installation of any other kind of heating.